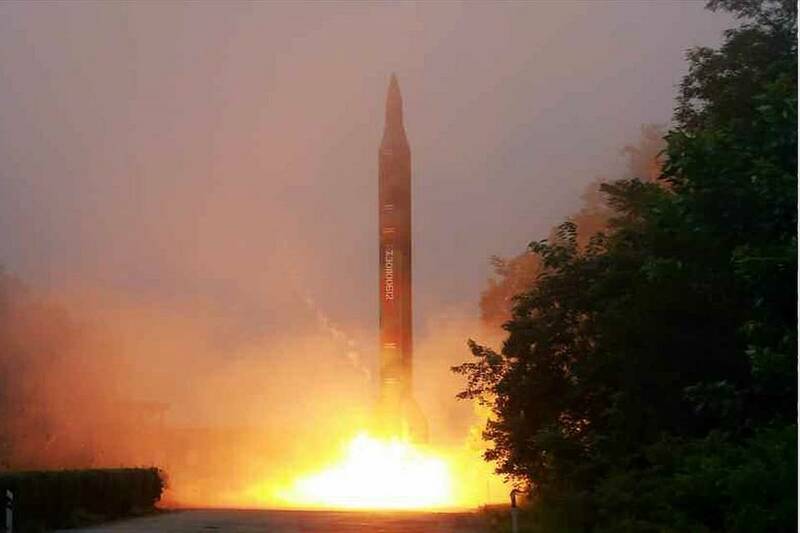 North Korean rocket launch: Relentlessly building a deterrent. For years it has been assumed that North Korea’s nuclear programme was just a tool to be traded for acceptance, recognition and material advantages from countries such as the United States and Japan. That was certainly the case for some time and it could be still a secondary goal. However, it is not the primary one. Not anymore. In January 2016, some days after North Korea’s 4th nuclear test, we published a post (“Threat or Bluff”) here at Tempos Interessantes where we stated that Pyongyang’s nuclear programme served a deterrence purpose, more of an insurance policy than a bargaining chip. Why does North Korea pursue a nuclear weapons programme? In two words, Power and Security. North Korea is surrounded by great powers, some of which openly hostile to her, so she views nuclear weapons as an insurance policy against an attack, or an attempt at subversion and regime change. Nevertheless, most officials and analysts in North America and East Asia kept on with the old mantra, assuming that if some measure of legitimacy and comfort were bestowed upon the North Korean regime, Pyongyang would let go of its nukes. “Testing was once interpreted by pundits to be an attention-getting effort for dialogue with the United States,” but “it would be irresponsible today to adhere to such an interpretation”. In today’s world, “North Korea is executing a strategy designed to demonstrate a survivable nuclear deterrent before the next US administration comes into office.” Cha insisted that the North Korean government sought to acquire nuclear weapons for the purpose of deterring its enemies. Further reinforcing my point is outgoing Secretary of State John Kerry’s strong denial that this is so. Given that Kerry mostly lives in an alternative reality, his rebuttal is a strong confirmation of Tempos Interessantes’ post. In the last few years, North Korea has mostly shunned any prospective round of negotiations and she has not taken any meaningful initiative of her own to engage in one. In the same period, North Korea has greatly intensified the pace of nuclear warheads’ and missiles’ developing and testing. Pyongyang has pursued these programmes weathering increasingly tough sanctions and isolation. This is not the kind of effort to be thrown away in exchange for oil, cereals and a treaty. It is a race for a WMD insurance policy and it is not going away. TEMPOS INTERESSANTES, ONE STEP AHEAD!